Studio City is a beautiful neighborhood in California. The panoramic valley views and scenic locales have made it quite a favorite place to live. 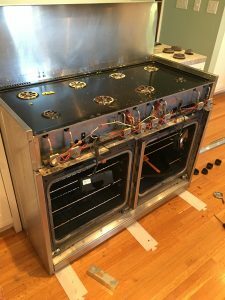 Many appliance repair companies are offering their services in Studio City but the name to rely on for the best outcome is Lerman Appliances. Our primary goal is to satisfy our clients and become the top preferred company for the services of appliance repair, Studio City. We are a family owned company providing our superior services for many years. When selecting a company for the repair work of your appliance, there are numerous factors that you need to consider. These factors include their experience, warranty, rates, types, and models of appliances they can repair, etc. Lerman Appliances boasts of all the features that one looks for when hiring a company for appliance repair. We have vast experience in providing such services, offer our clients a limited time warranty, and our services are provided at reasonable rates. At Lerman Appliances, we take pride in having highly-skilled certified and licensed technicians. They have ample experience in repairing different types of appliances with professionalism. Furthermore, they are experienced and have undergone numerous professional training programs that have enabled them to strengthen and polish their skills. We use cutting-edge tools and equipment to repair appliances. These tools allow us to complete the work quickly in a professional manner. In addition to that, industry standard practices and safety policies are followed by our workers to ensure the repair work goes in a smooth and hassle-free way. Furthermore, we also offer genuine factory parts so that you will not have to search for them in case a part of your appliance requires to be replaced. With our most skilled services of appliance repair, Studio City, the lifespan of your appliances will get enhanced. Our technicians will diagnose the appliance accurately and identify the parts that require replacement. After the repair process is completed, your appliance will start working in a proper manner serving you its optimal functionality. Lerman Appliances specialize in repairing a broad range of appliances. Our technicians are experts in handling different models of appliances manufactured by major brands. We can fix icemakers, microwaves, ovens, toasters, washers, dryers, and freezers, etc. Thus, if any appliance in your home or office has stopped working, you need to call us and schedule the services. Our expert technicians will be there at the time that is convenient for you and complete the repair with the utmost professionalism. We promise guaranteed satisfaction. For the enhanced peace of mind of our clients, we also offer limited time warranty. 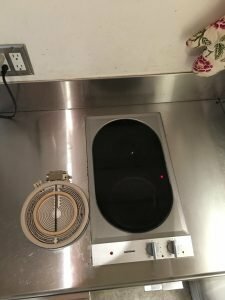 Thus, if any issue crops up with your appliance during this period, you can avail our best appliance repair, Studio City services without paying any extra charges. We are known in Studio City for our premium services and affordable rates. For more information or to get a professional estimate, call us now at 818-510-4851, you can also send us an email at LermanAppliances@yahoo.com.